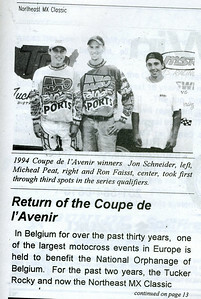 Back in the early 90’s who would have thought that a young man from New Jersey would go on to become one of the elite athletes in Freestyle Motocross. This is the story of Ronnie Faisst. 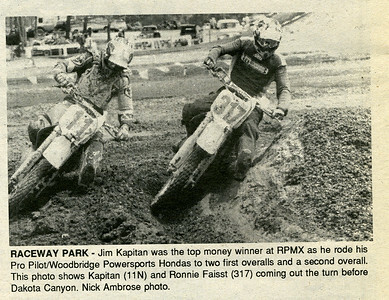 The Mays Landing, NJ native took to motocross racing and at one time was one of the top riders in the Northeast winning at all of the popular local tracks like Raceway Park and Sleepy Hollow. 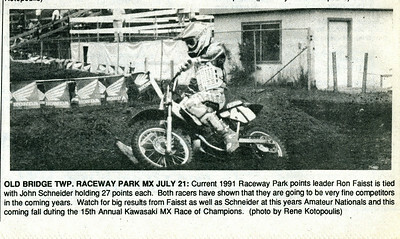 After turning pro in 1995 and racing local Nationals and Supercrosses California was calling and in 1997 Faisst packed up his life and moved West. The Freestyle scene was just getting started and Faisst and his outgoing personality were a perfect fit. Touted as one of freestyle motocrosses pioneers Faisst connected with fellow motocrosser turned freestyler Brian Deegan and was one of the founding members of the famous Metal Mullisha. Today Faisst is still at the forefront of Freestyle Motocross as part of the Metal Mullisha and is taking part in the multi-state tour of the all-new Freestyle Motocross show, Nuclear Cowboyz. He also appears in ads for some of his major sponsors, MSR Racing, Rockstar Energy Drinks and DVS shoes to name just a few. Faisst still keeps his New Jersey roots close to his heart as evident by his NJ state tattoo in the middle of his chest.